THE patent system disappoints most parties which are affected by it (but not all parties are created equal). This post takes a look at new examples. There are many more examples like that. In this particular case, HTC is not the bad guy; Apple attacked Linux/Android and even Microsoft seems to have extorted it very, very recently. Some headlines put it in better perspective (there are hundreds of headlines). How about “HTC files lawsuit against Apple, calls for injunction” or even the clarification that it’s a counter-attack and thus really defensive? He further wrote … “Patent royalties tend to create discrimination against small-to-medium-sized businesses developing any form of software, and especially against Open Source developers. Software patents have become weapons for companies to fight with each other. This not only wastes valuable resources but also time of courts. Many activists and experts have been raising questions about the legality of software patents. 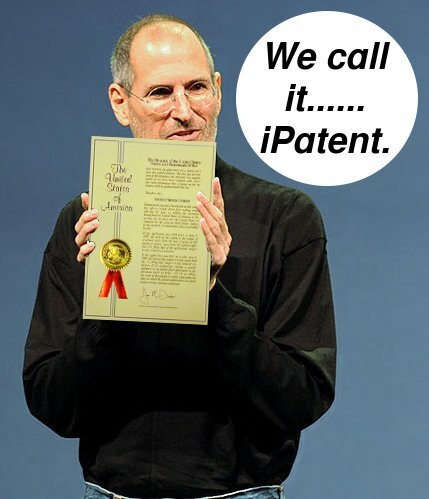 Many countries including India do no allow software patents. The United States, Europe, and Japan are trying to change India's laws so as to retard progress in India. Indians should explain to their peers why they need to reject so-called ‘IP’ for their advantage and long-term prosperity. Indian officials are likely to be incentivised (nice word for “bribed”) to serve foreign interests rather than the local population. We saw that before and gave examples. Microsoft is among the culprits. With the exception of cases like I4i vs Microsoft, we dislike almost everything about the USPTO’s practices. It merely grants monopolies, mostly to large US-based companies, in order to exclude competitors from the market. How is that beneficial to progress, assuming competition drives innovation? The following new article is perhaps a repetition of old news. Either way, it ought to show why it is also in Microsoft’s interest to lobby against software patents. Toronto-based i4i said yesterday that the U.S. Patent and Trademark Office has confirmed the validity of its software patent after Microsoft had asked that it be reviewed. To clarify, Microsoft has many other patent cases where it is the defendant, but given that Microsoft has many software patents which it uses to bully rivals, this hardly makes Microsoft a victim of this system. USPTO Director David Kappos recently commented on the March 22, 2010 Federal Circuit en banc decision Ariad Pharmaceuticals v. Eli Lilly and concluded that the written description requirement remains alive and well and is an essential “backstop” against overclaiming. In the case, the Federal Circuit held that Section 112 of the Patent Act has a written description requirement that is separate and apart from the enablement requirement. We will probably hear more about it in coming days. The European Patent Office (EPO) has ended speculation about the extent to which software can be patented under the European Patent Convention with a decision handed down yesterday from its Enlarged Board of Appeal. Yesterday, the Enlarged Board of Appeal of the European Patent Office (EPO) handed down its long-awaited ‘opinion’ on the extent to which software can be patented under the European Patent Convention. No change: That’s the result of an 18-month long appeals process that the president of the European Patent Office hoped would clarify the rules on whether software may be patented.